We are committed to an exceptional experience for every patient. We gauge our success from our patients’ feedback. Below are some comments. Dr. Kim and her staff are friendly, knowledgeable and inviting. I was encouraged to ask any questions, or voice any concerns I had. I felt listened to the entire time, and never rushed. I will absolutely be returning and highly recommend this office! As soon as I walked in I knew this was my place. The girls that helped me were great. They did a thorough job explaining all the details to the service! When doctor Kim came in she was so great. I was a little nervous but she reassured me and was excited for me! Her and Michaela work great together to get the job done! Thanks so much guys!!! Dr. Jessica Kim is fantastic! I love her personal approach to her patients. He mannerisms are professional and warm. She connects well with her patients and is friendly. She answers all question in a manner in which you can understand and doesn’t mind explaining the details of what she is doing and how your body responds (if you like the details) The office is very clean and has the most current equipment. I’ve had some sun damage and we talked about all the options and came up with a game plan to treat it now, ongoing and how to touch up in time. I’ve also had some fillers and Dysport. I like that the treatments to NOT make me look plastic and fake. Her approach is to make you look as close to normal as possible and make people wonder “what has changed”. I absolutely would not risk a medical procedure in the hands of someone who isn’t as skilled as a medical doctor. Visit her office, you will NOT be disappointed. I expected improved skin but what I’ve received so far has been nothing short of exceptional. My face has a healthy natural glow, I’m much more aware of sun protection and I feel like I have a team of professionals helping me make educated choices about skin care based on my goals. First of all, this place is beautiful, high end and clean. They definitely stand out in Olympia. Dr. Kim is professional and very smart, gives great advice and offers the best, up to date services in the industry. Her Estheticians are incredible too, so friendly and offer outstanding facials, lasers and services themselves. Very happy here! This was my first time going to a dermatologist for cosmetic reasons, so I wasn’t sure what to expect. During my initial consultation, they analyzed my skin and targeted areas that needed improvement. The great thing was that Dr. Kim and her assistant came up with a year long plan to get my skin in better shape. They realize that the process can be overwhelming for new patients, so there was absolutely no pressure to commit to anything at the consultation. I was given a print out of all of the treatments that they felt would be best for me, and told me to go home and think about it. The office is relaxing and the staff is pleasant. Can’t wait to come back in for my treatments! I can recommend Dr. Kim without reservation. I have seen her for several years for dysport & filler, and just had my first laser genesis treatment which was wonderful! Dr. Kim is highly skilled and …trained. I have always loved the results of treatments received. Her pricing is really good, and both she & her staff take the time to answer all of your questions. They are wonderful! This was my first time at a dermatologist office and I absolutely loved it! Dr. Kim’s space is beautiful, very clean and inviting. They were all so friendly. Her equipment and technology were all… brand new and top of the line. I was so nervous to get Botox, and it was so nice to have snacks and water available in the waiting area. It really helped my calm my nerves. My palms were sweaty because I didn’t know what to expect and they made the process so easy! I barely felt anything when getting the Botox. I love that she was able to put just the right amounts where I needed it. Looking forward to coming back for more treatments. Finally got to meet Dr. Kim and her staff. Their office is so beautiful and they are extremely nice and professional. Received Botox and it was very clean and precise. Look forward to having my lips d…one in the near future! Dr. Kim is the best in her field! I have been seeing her for over 10 years. I lost touch with her after she left her last practice and had to see other doctors, so when I found out she opened her own… practice I couldn’t wait to reunite with her. It takes me an hour longer to go see her but if it were 2 hours I would do it.. she is that good. She always knows the latest technology and has the top of the line products and machines. She listens to you, never rushes you, and is honestly concerned about helping you with your skin issues. She never talks you into anything and always explains what to expect . Dr. Kim is very compassionate and wants you to feel good about yourself. Please don’t think twice about seeing her. You will not be sorry. Also Machelle and Daija , her assistants, are sweethearts and always answer your questions and make you feel welcome. Olympia is very lucky to have Summit Dermatology and Dr.Kim!! Fantastic skill and expertise. A warm and welcoming staff in a modern efficient environment. As a physician myself, I am careful who I entrust with the healthcare needs of my family, without a doubt …Dr Kim has earned my trust and is an expert in her field. knowledgeable about the process and what to expect as far as discomfort level, length of the treatment, the amount of treatments that would be needed, and the healing process in between treatments and after care. I was initially pretty nervous about getting it done because I had heard that it was very painful. While, it was uncomfortable, the procedure was very quick, so it was tolerable and totally worth the results. They applied a numbing cream, and provided an ice pack before the treatment, which helped a lot. I had one treatment without using the ice, and I definitely recommend icing the area beforehand, it makes quite a difference. Overall, it was a tolerable level of discomfort. I’m very pleased with the results. I didn’t experience any blistering or scarring. The staff is super friendly and professional, I definitely recommend! 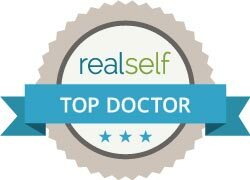 Great staff and Dr Kim is the most caring knowledgeable dermatologist in the area. She has a True passion for aesthetics & utilizes the most up 2 date treatments! Dr. Kim is the finest doctor of Dermatology I have ever been to. She is always current on new technology and she frequently takes training classes on the latest cosmetic procedures. I have been… seeing her for at least 6 years and knew her when she was in her former practice. The practice was very large and Dr. Kim was well known as the best Dermatologist there. I would and do always recommend her. Dr. Kim and her staff were extremely kind, considerate and compassionate. My first session had been very painful, and Dr. Kim made sure that my second session had a limited amount of pain and was able… to accomplish very positive results. I already feel years younger. Great experience! I got a lip filler at a different clinic before and the service and education at summit was exceptional in comparison. I would recommend her to anyone. I have been seeing Dr. Kim for 6 years now. I trust her for keeping an eye on my skin issues. She is very professional and the friendliest doctor I have… ever had. She makes you feel very comfortable. That is why I continue to see her. Excellent office call prices. Thanks! ★★★★★ On Facebook, Dr. Jessica Kim is the best!! She is very skilled and accurate and makes you feel so welcome and comfortable. She is very knowledgeable on all the latest techniques to make your skin beautiful and youthful. Her office is beautifully decorated and clean. The staff is nice. I have been seeing her for years and highly recommend her. Everything was professional and fun. Very happy with Dr. Kim and her staff. You’re all so welcoming and thoughtful. I’m also very impressed with your expertise and exceptional caregiving. Very nice people keep me very comfortable little sore today can’t wait till it heals up! Dr. Kim not only offers the most advanced technology but is personable and is an artist at her craft of beauty. Her staff is friendly too. I would highly recommend this office as Tunwater Best Kept …Secret since her office is so new and so advanced in their approach to almost every spectrum of the aesthetic industry from hair growth to cellulite reduction. Dr. Kim and her staff are very professional along with being so friendly. She listens to you and suggests great options that will accomplish your goals. I look forward to going back again!!! Great place!!! Dr. Kim is superb! I have the “tired look” and my focus has always been my cheek area until Dr. Kim! By putting my trust in Dr. Kim’s extensive experience, has made a huge difference in how I lo…ok. She knows what she is doing, master injector, she is patient, explains the procedure, she listens to your concerns and if you don’t want something she won’t push you! I strongly recommend going to Summit Dermatology and seeing Dr. Kim!